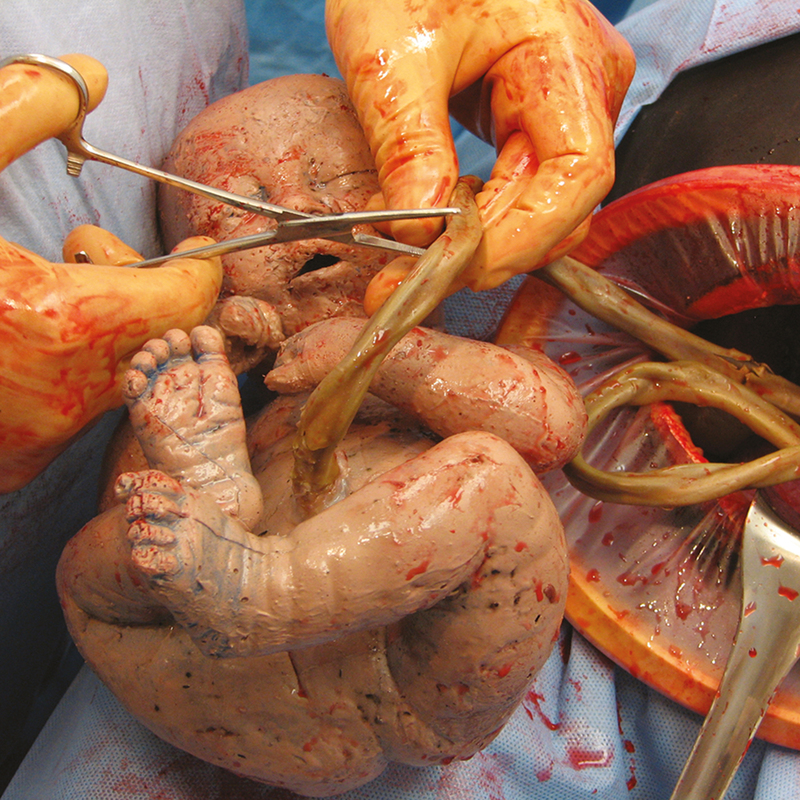 Each simulator supports multiple difficult Cesarean deliveries with realistic incisions and amniotic fluid. With the C-Celia – Emergency C-Section Delivery Simulator, you can teach and train the complete scenario from the first incision to fetal extraction and afterbirth all the way to uterus repair and closing of the abdominal skin. The material used in the simulator gives the trainee a life-like experience (no hard plastics), is very durable and easy to clean. Difficult fetal presentations can be manually positioned by the instructor to simulate the fetal extraction scenario that needs to be trained by the obstetricians and the medical team. Once the need for a C-section has been established, the medical team needs to work together fast and seamlessly. With realistic obstetric simulation, the team can practice medical procedures and clinical protocols for emergency C-sections, and learn how to work together effectively.